If you’re still buying a topo map from REI every time you want to go backpacking, you’re wasting your money. But I don’t blame you, I used to do the same thing. I have quite the collection of Green Trails Maps folded up in plastic bags, slowly decaying beneath my gear. Until one day, at a music festival, I met a man named Eugene who told me about Caltopo.com. If you’re trying to check off some serious goals in the back country this summer, you’re going to need some serious maps to get you there. 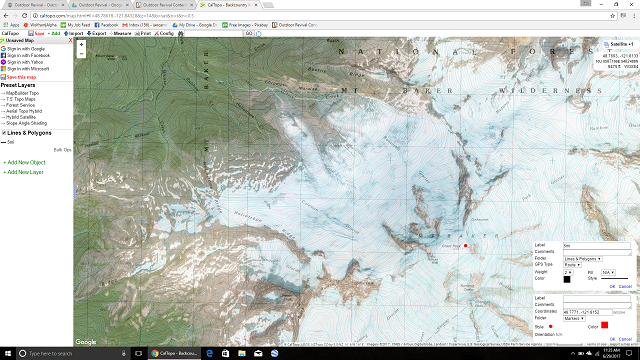 Caltopo doesn’t just provide free topo maps. They are fully customizable with real time data, drawing capability and measurement tools. Here are four of my favorite features about Caltopo.com. 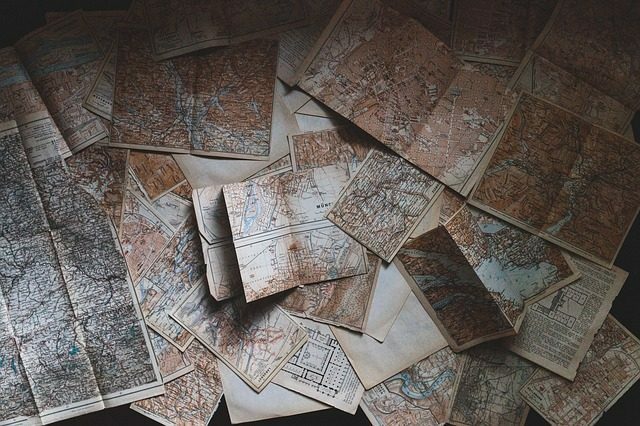 When I discovered that I didn’t have to pay for all those topo maps I had been collecting, I felt a mixture of disbelief and frustration. 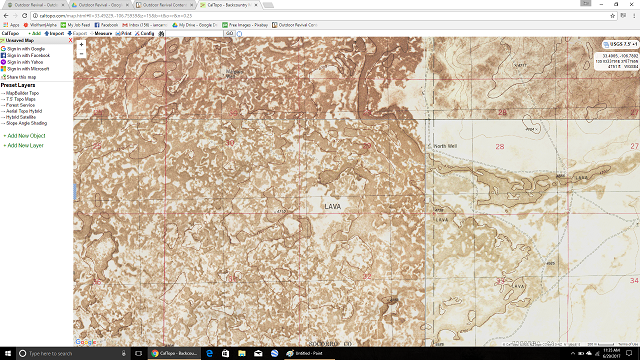 Caltopo is an invaluable resource and the fact that they can offer it to the public for free is pretty incredible. After all, creating and maintaining a resource of such authority is neither free, nor easy. So Caltopo does offer annual memberships at two levels to help offset costs. 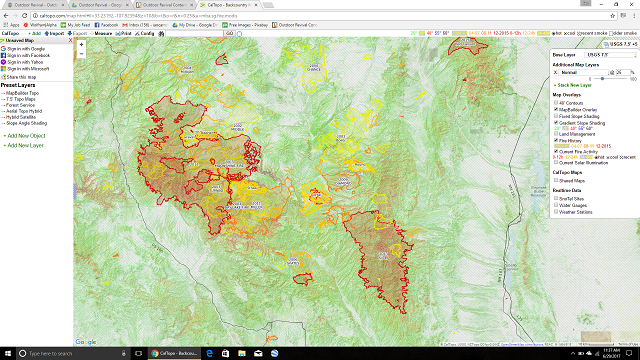 For $20/year (basic) or $50/year (pro) you can access higher resolution maps with more options and sizes. I personally haven’t taken the plunge, and cannot speak to the quality of the content a membership awards you. However, I will say that the basic services provided for free are well worth the price of a membership at either level. I used to spend more than that just buying maps for one or two backpacking trips. Layers are where Caltopo really shines. First and foremost, they have an impressive collection of default topo maps. Select from US Forest Service, USGS, historic maps, Google Maps, and more. Being able to quickly switch between map layers makes it really easy to plan routes from the car all the way to the summit. Furthermore, you can edit your contour lines, view gradient or fixed slope shading, and even overlay historic and current fire data. 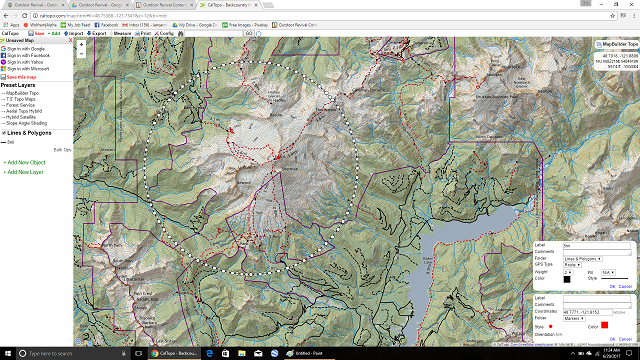 And that’s not all, those are only a couple of my favorite features that Caltopo offers. This is such a simple feature, but it is so important and so well done. Caltopo makes it easy to format your topo map to any size and shape you need. This is critically important when it comes to route planning. Personally, when I’m backpacking, this is my favorite feature. I always hated having to switch maps at arbitrary dividing lines. Especially when my trail makes an important turn or comes to a junction near the edge. It can be especially tedious when your trail snakes back and forth between the boundary of two maps. 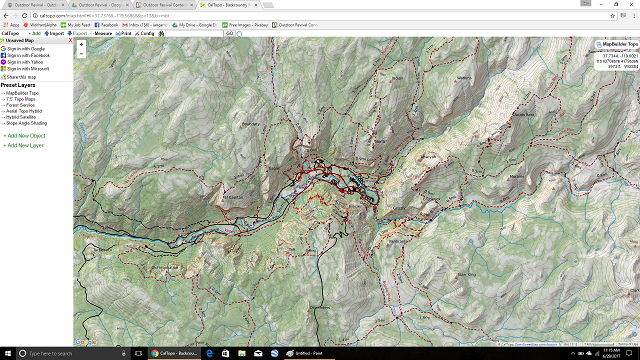 With Caltopo, I always print one map that shows an overview of my entire route, start to end. I also make a series of more detailed maps showing either each day, each area, or simply breaking the route up into logical parts. Caltopo also has simple but incredibly powerful export features that let you easily take your topos to apps like Google Earth or Google Maps. Personally, I don’t tend to take gadgets and topos on the same trips. However, I have a number of friends who swear by and praise it as their number one must have. 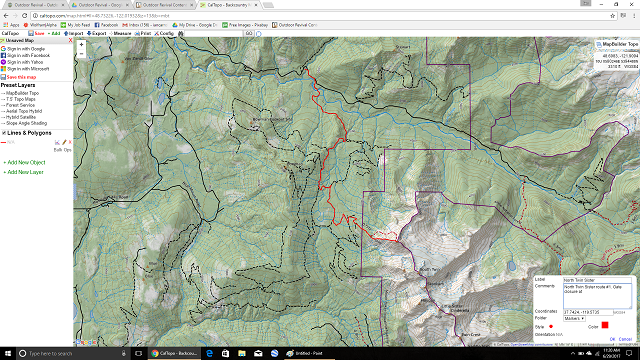 Caltopo lets you draw in your own routes and waypoints. But it also calculates elevation and distance for that exact route. This can be priceless when you are piecing together multiple trails or creating a route that might not be written about in guidebooks. You can also use range-finding rings and other measurement tools in the program to help calculate fastest and most effective routes. Then when you go to print or export your maps, leave as much or as little of your line-work visible as you please. So stop buying basic topo maps and start making your own. 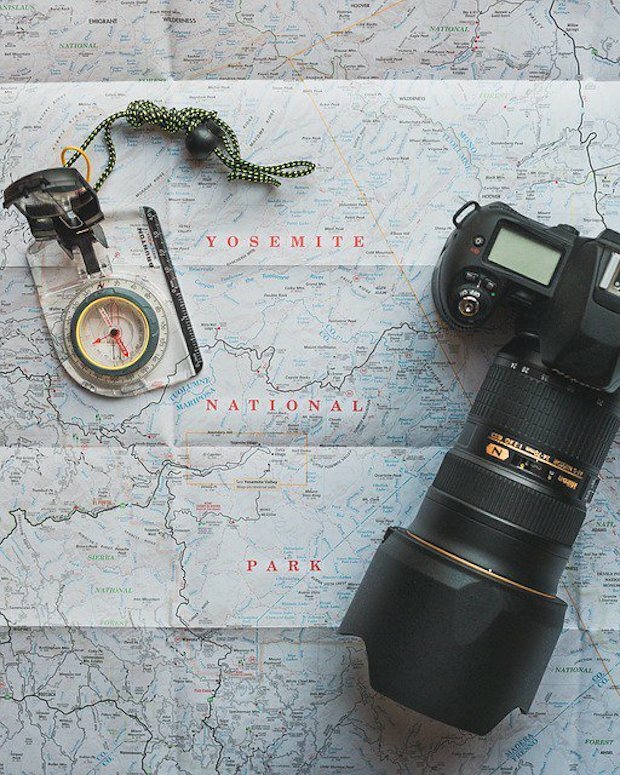 You won’t just save money, but you’ll also have a better angle on your next adventure.